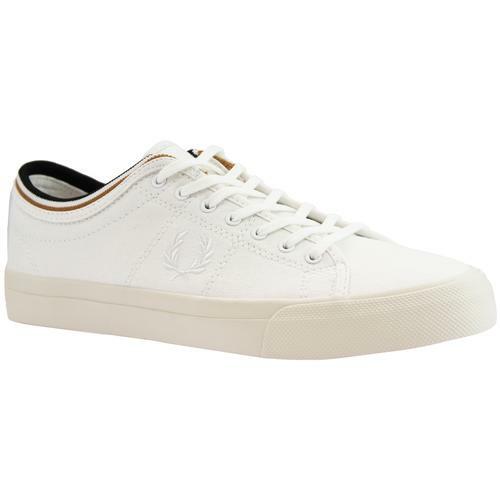 Lambretta 'Vulcan' men's retro 1970s stripe canvas trainers in off white (ecru). 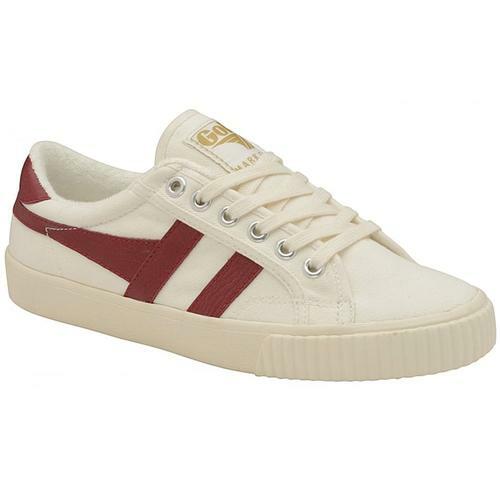 A vintage sports vibe envelops these stylish and lightweight Lambretta canvas trainers. Equipped with a striking stripe side panel of navy, red and grey to accompany the contrast navy heel counter, navy laces and. The Lambretta checkerboard shield to the tongue adds the finishing touch to these Lambretta 'Vulcan' retro trainers. 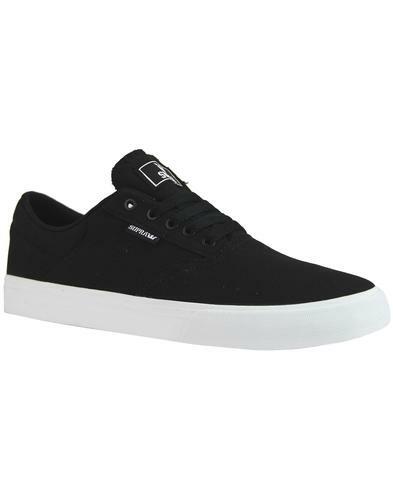 An indie footwear classic that looks great teamed with jeans for that easy casual mod look. 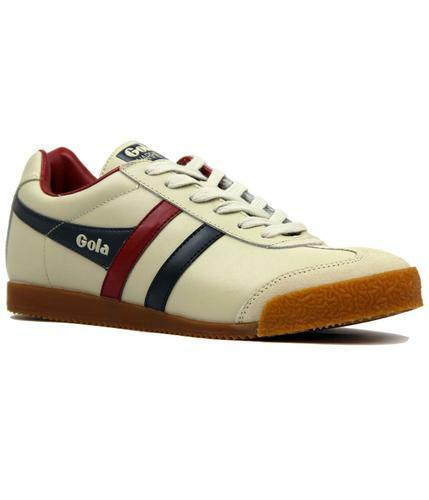 The Lambretta 'Vulcan' retro stripe trainers are a stand out style for the summer season. 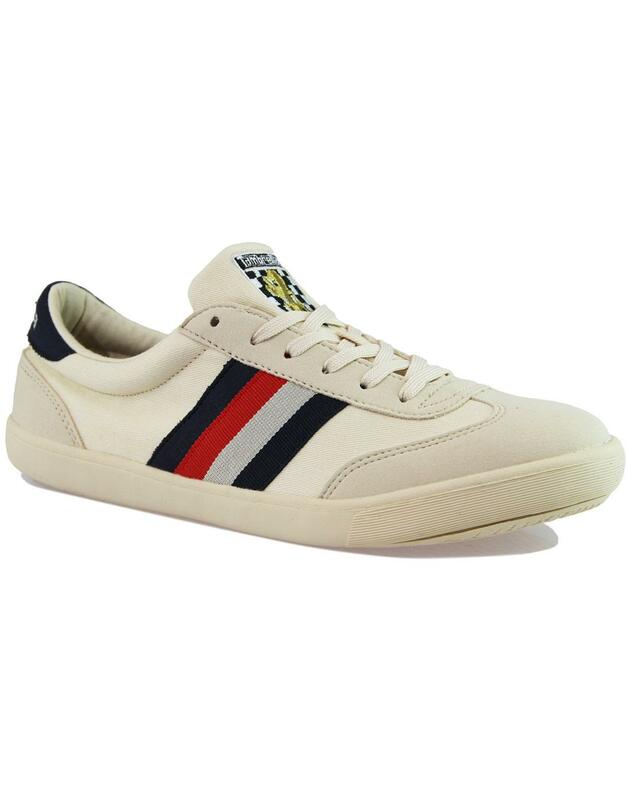 - Lambretta 'Vulcan' men's retro 70s stripe canvas trainers in off white. - Navy, red and grey stripes to sides. - Lambretta checkerboard shield to tongue. - Lambretta signature to heel. - SKU: 0632 Vulcan Trainers. Composition: Canvas/PU upper, other outsole.